The Carlson Law Firm is a Texas law firm with an office in San Antonio. The firm practices personal injury law and represents clients in serious injury and wrongful death cases. Some of the cases the firm is prepared to handle include car accidents, truck accidents, medical malpractice, dog bites, birth injuries and more. 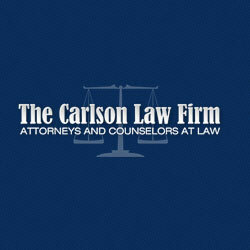 The Carlson Law Firm has the combined resources of over 20 seasoned attorneys and other legal professionals. The firm was founded in 1976 and since that time has earned a reputation as one of the most caring, compassionate and effective injury law firms in the state of Texas. Attorneys at the firm have been included in the list of Super Lawyers, admitted to the Million Dollar Advocates Forum and AV peer review rated on Martindale Hubbell. To learn more about the firm or to receive a free case evaluation, call today or visit http://www.carlsoninjurylawyerssanantonio.com/. R. Bruce Phillips' entire practice is devoted to litigation. He is part of The Carlson Law Firm's San Antonio practice. He is one of fewer than ten percent of Texas attorneys to be Board Certified in Personal Injury Trial Law by the Texas Board of Legal Specialization. He is admitted to the Supreme Courts of Texas, Missouri and Oklahoma as well as various U.S. District Courts and Courts of Appeals throughout Texas. He attended University of Oklahoma College of Law where he received his Doctor of Jurisprudence in 1988. Not only is Mr. Phillips a skilled attorney, but he is also a published author and distinguished public speaker at seminars. To learn more about Mr. Phillips and how he may be able to assist with your case, call today. 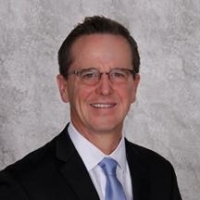 Michael Erskine is part of The Carlson Law Firm's San Antonio practice. He has been admitted to the State Bar of Texas, the U.S. District Court Eastern District of Texas, U.S.
Teresa Christian of The Carlson Law Firm is a member of the State Bar of Texas and the Texas Young Lawyers Association. Ms. Christian is part of the firm's San Antonio practice. She joined the firm in July 2006 and prior to this, attended St. Mary's University of San Antonio School of Law. She graduated with her J.D. in 2005 and soon after passed the examination to become a member of the state bar. Before attending law school, Ms. Christian attended Texas A&M University. Ms. Christian is an integral component to the firm. If you would like to learn more about her or the rest of the staff at The Carlson Law Firm, please call today. Edna Elizondo of The Carlson Law Firm practices law at the firm's San Antonio location. She is admitted to practice law by the State Bar of Texas. Edna attended the University of Texas at Austin for her Bachelor of Arts and then went on to attend St. Mary's University School of Law in San Antonio where she received her J.D. While she was in law school, she was distinguished with being the Student Bar ASsociation Senator during her 2nd and 3rd years. Currently, she is a member of many prestigious legal organizations such as the American Bar Association, the Texas Trial Lawyer's Association, the Texas Young Lawyer's Association, the San Antonio Bar Association and the San Antonio Trial Lawyer's Association. To learn more about Edna Elizondo of The Carlson Law Firm, call today.